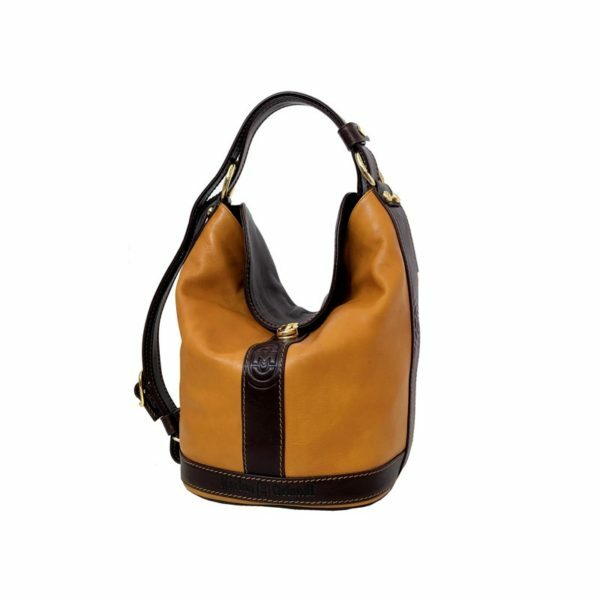 A unique creation, in which the rounded shape and generous dimensions create an exclusive contrast with the leather of the bag and the dark brown handles. Marino Orlandi gold accessories and crocodile details give the bag a unique touch. Categories: Backpacks, Cowhide, All collections.